Skating cover both Ice Skating and Roller Skating. The Australian Ice Hockey League (AIHL) was formed for the 2000 season by the Sydney Bears, Canberra Knights and Adelaide Avalanche after the failure of the former national league. ..
Caribbean Rollerama is your family skating rink and a fun place for all ages, Roller-skating or Roller-blading you are sure to have the maximum fun ever. We also cater for kids birthday parties, h ..
Come along and play Roller Derby! East Vic Roller Derby is a non-profit organisation that aims to use the sport of Roller Derby in Australia to actively enrich the lives of people within our commun ..
Ice Skating is a wonderful way for the whole family to enjoy all the exercise you need to stay fit and healthy......and have fun at the same time. Develop the skills of the professionals. Team the ..
Inline Hockey Victoria has been created as a single entity with the merging of the Skate Victoria Inline Hockey Branch and In-Line Hockey Victoria inc by which inline hockey will be conducted, promote ..
O'Brien Group Arena is a world-class ice sports and entertainment venue located at Docklands. O'Brien Group Arena is a world-class facility, attracting some of the greatest sports people from aroun ..
O'Brien Group Arena launched their NEW Arena Membership Program on Saturday 12th December 2014, offering up unforgettable experiences and opportunities for members to engage in and enjoy for the first .. Here is a wonderful way for the whole family to enjoy all the exercise you need to stay fit and healthy......and have fun at the same time. Develop the skills of the professionals. Team the art of ..
Skating on roller blades and roller skates in a supervised atmosphere is a fun way to spend time for all of the family. Rental skates are available as in roller blades (inline) or roller skates. ..
RampFest is the premier indoor Skate & BMX park in Australia - and is over 1500 square feet of plywood heaven! The park is fast and flowing, with has an un-matched riding feel thanks to the full ..
Ramp It skate park is a concept that was born from an idea that Skaters, Scooters, Inline and BMX riders should have a place to ride without fear of harassment or exposure to inappropriate behaviour. ..
Skate Victoria promotes roller skating and inline skating in a safe environment through one or more of its four disciplines. Skate Victoria is an incorporated State Sporting Association with stron ..
As skating is a popular recreation activity, the City of Casey has developed a number of Skate Parks and BMX Tracks. The Shed Skate Park Berwick Cranbourne Road Cranbourne (Melways 134C6) Cas .. The Home of Roller Sports in Victoria, Skate Victoria aims to promote and increase participation within all five disciplines. -:- Artistic Skating -:- Inline Hockey -:- Roller Derby -:- Roller H ..
South Sea Roller Derby (SSRD) has been around since 2009 and is a WFTDA Apprenticed League. With over 10 experienced coaches and 100 members we're ranked 3rd across VIC/TAS. SSRD fosters an incl .. Speed Skaterz is an inline speed skating club located in Eltham that can teach you to Speed Skate. 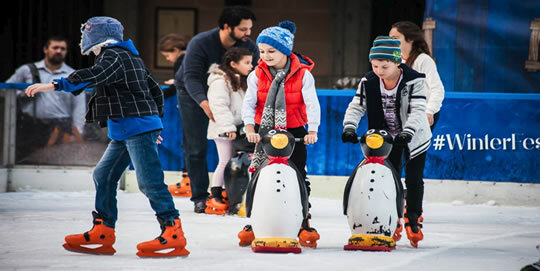 Speed Skaterz Eltham offers programs of instruction, coaching and competitions for people wanting .. The Shed Skatepark in Cranbourne is Australia's biggest indoor skatepark for all levels of skateboader, inliner, BMX and scooter riders. The park features a street course, foam pit, resi ramp, bowl .. The VRDL is a non-profit women's Flat Track Roller Derby League in Melbourne, Australia. What began with a handful of dedicated skaters teaching themselves the basics of roller derby via Youtube, h ..
Victorian Skating Centre formally known as Lilydale Roller Skating Centre Home of the Lilydale rats Hockey Team and the Lilydale Artistic Skating Team ..
Westside is a not for profit, volunteer run sports club that works actively to make participation in roller derby accessible and open to all. We run programs for juniors, recreational and competit ..